The distinctive 7 Series with its contoured main flap and PressTop easy access system is available in three sizes: the 107, 207 and 307. They all offer identical features - only their width differs. The main flap has a central, double layered, waterproof seam which gives the 7 Series bags a distinctive rounded look. This isn't simply a styling feature. By extending over the ends of the bag, it also provides excellent protection from dust, rain and snow. The 7 Series is exclusively made in FibreNyte which has the look and feel of canvas. The Quick Release System tabs with wider ends make for fast opening and secure closure, even in difficult conditions. With the rain flap pulled back and the main compartment zip opened, you will notice another distinctive feature of the 7 Series bags ? they are held wide open by the Billingham PressTop. This comprises two specially shaped fibreglass and aluminium wands which shape the fabric into a wide rectangle once the zip is pulled fully back. The main webbing straps are secured by heavy stitching with a leather reinforcing strip at the back. Even with the bag open, two internal leather grab handles&#8202; mean you can carry it safely. For full flexibility the front handle can even be unclipped and removed if required. At the back there is a full length, zipped rear pocket&#8202;which is hidden by an extension of the main flap. This helps to maintain the bag's smooth lines and protects the zip from bad weather. 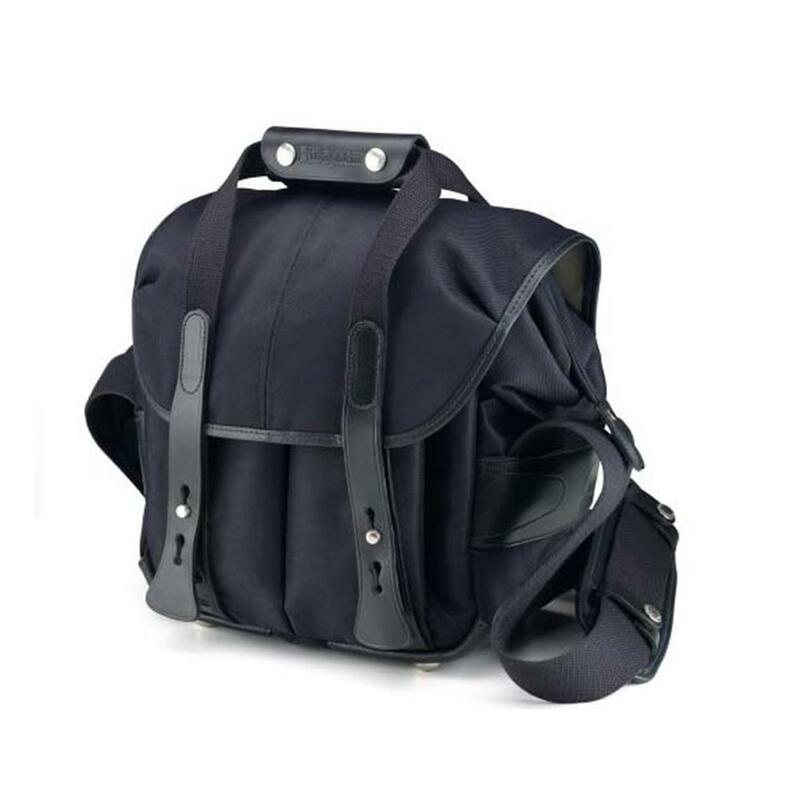 In addition, the inverted 'Y' shaped Delta Sling webbing of the shoulder sling's fixing points helps to prevent any tipping and rolling motion as you move - even when the bag is fully loaded. Speaking of which, if you sometimes need more space, you can fit our optional Delta pockets. Also incorporated into the main leather strapping are holes to take our tripod carry straps and the lower mounting points for the optional 5-point Backpack Harness.